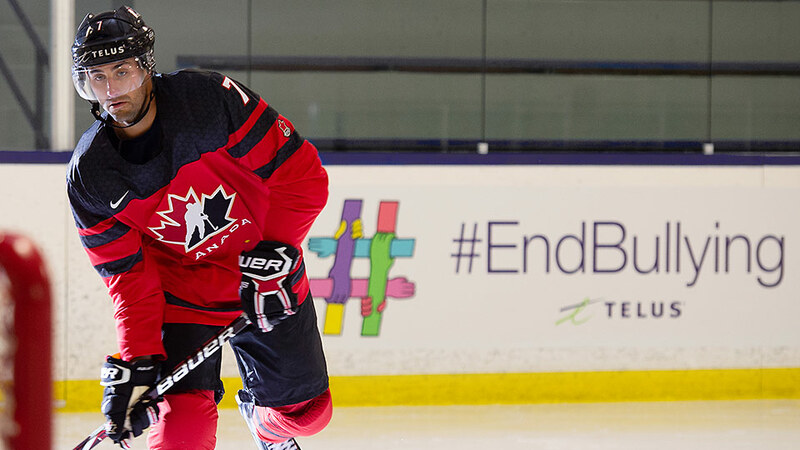 TELUS and Hockey Canada are committed to #EndBullying, and have teamed up to create THE CODE. 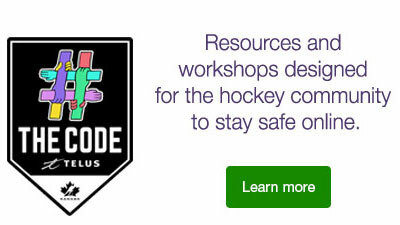 An extension of the TELUS Wise program, THE CODE resources and workshops are designed specifically for the hockey community, and help empower hockey fans, players and their families to stay safe online. Great teams are built on a foundation of action plans, trust and purposeful direction. That’s why we’ve developed an age-specific THE CODE Playbook, an informative resource that is a roadmap for players, parents and coaches. Developed in partnership with the TELUS Wise team and Internet safety experts at MediaSmarts, as well as the hockey leaders at Hockey Canada, THE CODE Playbook provides great tips and advice to help everyone have fun at the rink and stay safe online. CLICK HERE to download THE CODE Playbook. TELUS has partnered with Hockey Canada to create a free TELUS Wise Workshop for the hockey community. This workshop has been developed to empower hockey parents and coaches to stay safe in a digital world. Workshop topics include protecting your family’s online security, privacy, and reputation, using technology responsibly and rising above cyberbullying, with special attention to possible scenarios experienced by hockey families. Impactful, engaging, and informative, this workshop is an off-ice clinic for parents, coaches, team administrators, volunteers and all interested adults, crafted to help you and your family navigate the complex and quickly-changing digital world. Please note that workshops are currently only being delivered through Hockey Canada and the provincial organizations. General workshops for Canadians of all ages, non-specific to hockey, are available nationally through the TELUS Wise program. 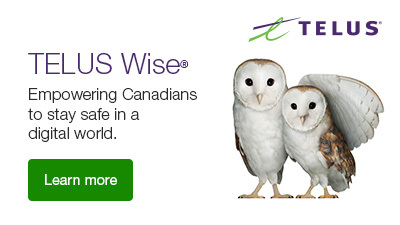 CLICK HERE to book a general TELUS Wise workshop.